From freelancers to small business owners to companies with hundreds or thousands of employees, time becomes a critical data point that must become better managed in order to get more done, make more money, and maintain budgets. However, time is something that we often find challenging to track given the fact that we multitask so much. Thanks to new technology, software, and apps, our time and that of our staff can be watched down to the second, offering new insights on productivity and accountability. 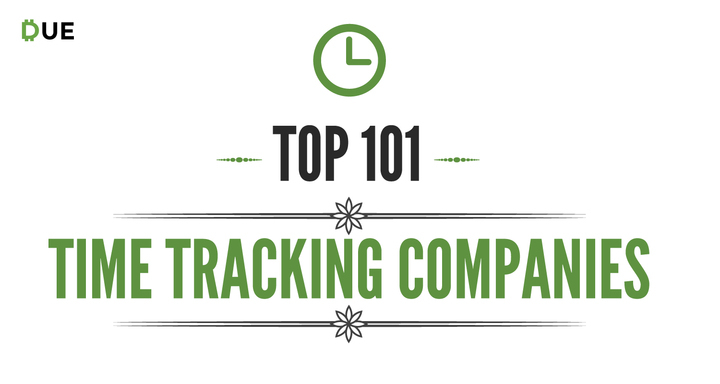 Check out these 101 top time tracking companies that offer everything from clock timers and time sheets to other business process features that are now automated like invoicing, project management, collaboration platforms, payroll and more. Due offers an easy to use time tracking tool that works in the background tracking your time on various projects and provides a way to add notes for each project. The data can then be used with Due’s online invoicing system for faster invoice creation. 1Time is headquartered in Ireland and offers companies of all sizes a way to track time and projects online. It offers an intuitive design, email alerts and notifications, mobile access, an external client view, and reporting for clients, projects, and employees. It also handles project and cost analysis for better decision-making, project expense tracking, employee absences and leaves, and timesheet downloading and reporting. Due vs. 1Time: Both 1Time and Due offer time tracking, client management, project management, and expense reporting features. 1Time has a tiered pricing plan depending on your number of users. Pricing starts at $16/month and goes all the way up to $445/month. Due offers these same features and many more such as invoicing, digital wallet, and online payments completely free of charge. In addition Due offers payment processing at an industry low 2.8% flat or less depending on volume. AccountSight is a robust and affordable end-to-end solution for professional services companies. It is a cloud-based software that features time and time-off tracking, resource planning, expense tracking, multi-level approvals, estimates, invoicing and payment receipt, payables, useful reports and dashboards. Due vs. AccountSight: Account Sight offers solutions similar to Due, but does not include project management or payment processing options. AceProject is headquartered in Canada and offers Web-based project management software that is designed to track projects, tasks, individual and team time, time sheets and resources. This free or low-cost option also includes tools for organizing and collaboration anywhere in the world. 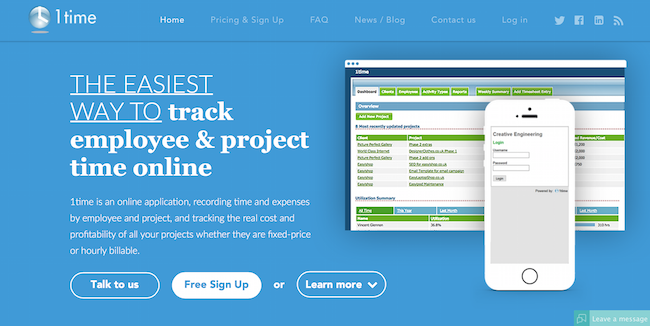 Due vs. AceProject: Both AceProject and Due offer time tracking, project management, and expense reporting features. AceProject has a tiered pricing plan depending on your number of users. Pricing starts free and goes all the way up to $99/month. Due offers a similar feature set as well as invoicing, payment processing, and a digital wallet free of charge. Due’s processing rates start at 2.8% or lower depending on transaction volume. actiTIME is time tracking software for companies of any size and any business type, helping companies all over the world track employees’ time. It allows users to register times off and sick leaves along with worked hours, generate customizable reports, make project assignments and estimates, issue invoices, and handle many more time and project tasks. Due vs. actiTime: Both actiTime and Due offer time tracking, project management, and expense reporting features. actiTime has a tiered pricing plan depending on your number of users and other factors. 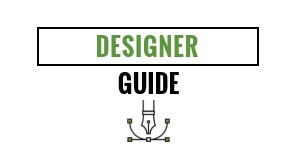 You can reference a very detailed pdf on their website that gives you the pricing breakdown. With Due you can access these same features and more such as invoicing and a digital wallet for free. Due also offers payment processing at 2.8% flat or less depending on volume. ACTontime provides a way to track your employees’ time and attendance accurately with built-in payroll and HR functions. Features include dashboard, payroll policies, scheduling and employee self-service features. Due vs. ACTontime: Both ACTontime and Due provide time tracking and payroll functions for business of all sizes. Due offers a much fuller accounting solution with additional features such as invoicing, reporting, project management, client management, online payments, digital wallet, and payment processing. AdaptRM’s Time My Life product tracks your time automatically across any device, providing for a much more beneficial way to stay on top of your time while continuing to work in the process. It also offers automated data management. Due vs. AdaptRM: Both Due and AdaptRM offer time tracking, data management, and invoicing features for businesses of all sizes. 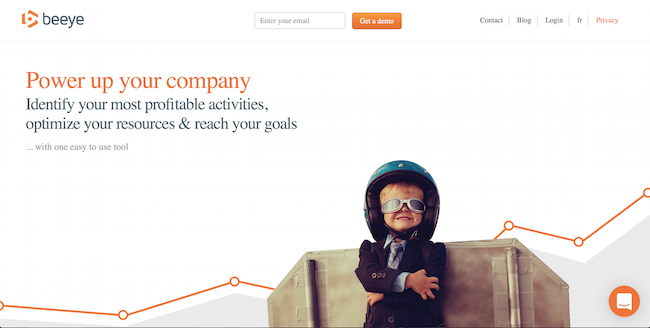 AdaptRM costs $5/month for time tracking and $7/month for time tracking and invoicing. Due offers these same features and much more completely free of charge. Agilium Tracker is an affordable way for remote teams to stay on top of their working time. IT can be used for PC, Mac, and Linux and will soon have mobile applications for Android and iOS. Due vs. Agilium Tracker: Both Due and Agilium Tracker have time tracking and expense management features for businesses of all sizes. Agilium Tracker charges users as the go, after the first two users it costs $0.0125/hour. With Due you won’t have to pay per user, in fact, you won’t have to pay at all. Due’s accounting solution is completely free. Due also offers payment processing at 2.8% flat or lower depending on your transaction volume. AMG Employee Management offers a range of time management products, including physical equipment and software to track time on-site and online. Due vs. AMGTime: Both Due and AMGTime offer time tracking functionality for businesses of all kinds. AMGTime offers both hardware and software solutions that allow businesses to better track their employees time. In addition to time tracking, Due also offers invoicing, project management, digital wallet, and payment processing. AskDante is headquartered in Germany and offers cloud-based and mobile app time tracking capability for individuals and companies at a very low rate along with other business process features that enhance productivity. Due vs. AskDante: Both Due and AskDante offer time tracking, reporting, and billing features for businesses of all sizes. AskDante charges 5 euros a month after their 30-day free trial. Due provides these same features as well as invoicing, project management, and a digital wallet for free. Due also offers payment processing at 2.8% flat. 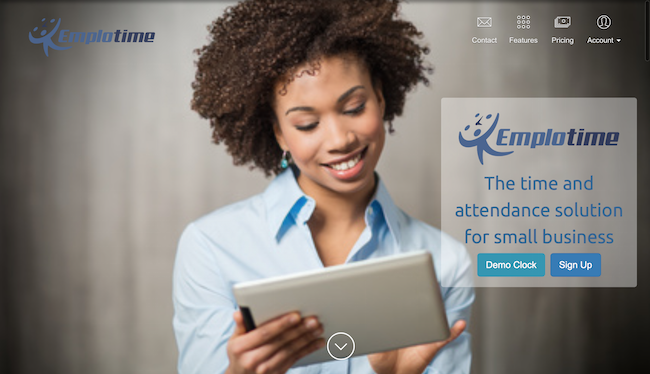 Attendance on Demand develops and distributes employee time tracking systems, delivered as a Software as a Service (SaaS) solution. It has time tracking solutions for the Web and mobile environments. Due vs. AttendanceOnDemand: Both Due and AttendanceOnDemand offer online time tracking software for businesses of all sizes. AttendanceOnDemand offers both software and hardware as well as industry specific solutions. Prices for AttendanceOnDemand may vary depending on which features you want to utilize. Due’s features are all free, no matter which ones you are using. Avaza is a software suite for small professional services organizations with modules for project management, timesheets, expenses and invoicing. Due vs. Avaza: Both Due and Avaza offer online invoicing, time tracking, expense management, and project management for businesses of all sizes. Avaza pricing starts at a free package then costs between $9.95/month to $39.95/month depending on how many features you want to utilize. In addition to these features Due also offers payment processing and a digital wallet. Due charges 2.8% flat for payment processing and the rest of its features are completely free. BeeBole is time tracking software that also offers absence tracking, approval flow, automated reminders, onc-click timer, billing and budgets, reporting, audit trails, and daily, weekly or monthly timesheets. It integrates with Quickbooks and Google Apps for Business. Due vs. BeeBole: Both Due and BeeBole offer time tracking, billing, and reporting software for businesses of all sizes. BeeBole charges $5.99 per month per person after their 30 day free trial. Due charges no monthly fees and has a much larger suite of features including payment processing, invoicing, and a digital wallet. Beeye is a Canadian company is collaborative project management software that includes a time tracking tool along with a suite of other time and project management features. Due vs. Beeye: Both Due and Beeye offer time tracking and project management features for businesses of all sizes. Beeye offers a free demo then you’ll have to inquire further about pricing. No need to inquire further about pricing with Due. Due offers a free accounting solution as well as payment processing at an industry low 2.8% or less. Bill4Time keeps a record of all your time on every project and offers a data-backup feature to ensure that all information is safely stored. Due vs. Bill4Time: Both Due and Bill4Time offer time tracking and project management features for businesses of all sizes. With Bill4time, you have to pay a monthly fee to continue to use the service after the trial period is over. 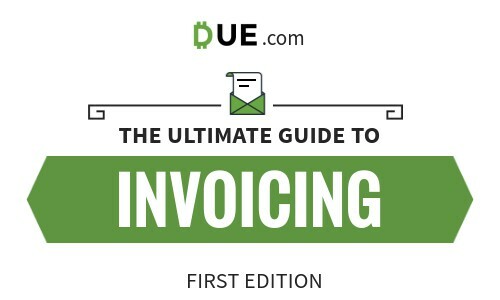 Invoicing on Due is completely free, no hidden or monthly fees. While both services offer payment processing on invoices, Due also offers a much larger set of features to their users. 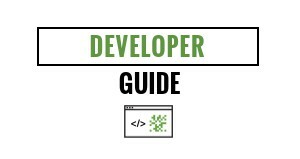 These features include: an e-commerce payment processing API, digital wallet and much more. BillingsPro is made for Apple computers and products like theiPhone, iPad, and Apple Watch. It can be used for estimating, time tracking, and invoicing for freelancers and small businesses. You can pause and resume a timer from your menu bar while working in another program. Due vs. BillingsPro: Both Due and BillingsPro offer invoicing, time tracking, and project management solutions for businesses of all sizes. BillingsPro’s pricing starts at $5/per user/per month. Due’s accounting solution also includes payment processing and a digital wallet. Due offers these features completely free of charge. BillQuick is an integrated time and expense tracking, project management, billing and accounting solution that is scalable for businesses of all sizes. It has been built by architects, engineers, and CPAs to meet the specific needs of professional services firms. Due vs. BillQuick: BillQuick has lots of accounting and business tools catered to specific needs. Due offers a more general solution for businesses. With fairly similar feature sets, the main difference is that Due offers the services completely free of charge whereas BillQuick charges monthly. Bloomforth helps to empower small businesses and independent retailers through great technology, including time tracking for employees, inventory management, and other tools. Due vs. Bloomforth: Both Due and Bloomforth offer time tracking, payment processing, and reporting capabilities to businesses of all sizes. Bloomforth offers POS systems and on-site time tracking devices which Due does not yet offer. Bloomforth charges $38/month for the platform + $9/user + $49/extra location. When you sign up for Due, you’ll have access to all it’s features for free. If you’re an online business that processes payments, you can use Due’s credit card processing at 2.8% flat or lower depending on your transaction volume. Boomr is mobile time tracking software for companies that may have a virtual workforce or that outsource all their work. Turn any iPhone, iPad or Android device into a powerful time clock and attendance system. Employees and freelancers can check in and out for work, submit tasks and photos, and log lunch breaks. The system also comes with GPS tracking that validates all the data. Due vs. Boomr: Both Due and Boomer offer time tracking and reporting software for businesses of all sizes. Boomr focuses on in-store time tracking solutions for employees while Due offers an online time tracking solution geared towards freelancers and small businesses. Bric is time-management software built with analytics with insights about time use and productivity that can then be sued to create budgets and hiring plans as well as monitor how people are spending their time to enhance workflow. Due vs. Bric: Both Due and Bric offer time tracking, reporting, and project management features to businesses of all sizes. Bric charges $7 per month per user. Due also offers invoicing, payment processing, and a digital wallet. You can access all of Due’s features for free, there are no monthly or hidden fees. Due’s payment processing is offered at an industry low 2.8%. Capture.it is a billable time capturing app that makes the practice of law easier, providing a way to track every minute on each case to maximize revenue on each legal project. Due vs. Capture.it: Both Due and Capture.it offer expense and time tracking features. Capture.it offers a time “capturing” solution catered towards lawyers. Capture.it’s pricing starts at $16 per user per month. Due doesn’t charge per user or per month, in fact Due doesn’t charge anything. With Due you can also invoice, process payments, and use a digital wallet. Chrometa works as a passive timekeeper to record your time and what you do while you work on a PC, Mac, iPhone or Android device. There is no need to start and stop a timer. It integrates with Outlook, Gmail, and Mac Mail as well as Quickbooks and Freshbooks. Due vs. Chrometa: Both Due and Chrometa offer time tracking solutions for businesses of all kinds. Chrometa offers a tiered pricing structure starting at $12/month after a 30-day free trial. In addition to time tracking Due also offers a digital wallet, project management, and invoicing features completely free of charge. Chronotek offers a way to check in and out of work using site phones, cell phones, or the Chronotek app. 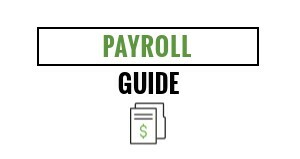 Features include ways to manage and monitor employee time, quickly compute payroll with the time data, and integrate the data with QuickBooks and other apps and software. Due vs. Chronotek: Both Due and Chronotek offer time tracking and reporting solutions to businesses of all sizes. Chronotek offers in-store employee time tracking solutions while Due is only online at the moment. Chronotek charges a $14 base fee then $5 per month per user. Due offers a more general accounting solution with no hidden or monthly fees. Clarizen is time tracking software that has been built on a secure, scalable platform. It combines project management, configurable workflow automation, and in-context collaboration from an intuitive interface that allows everyone to work the way they work best within companies of all sizes. Due vs. Clarizen: Both Clarizen and Due offer project management, expense management, and time tracking solutions for business of all kinds. Clarizen offers an enterprise package for $60 per user per month. Due’s accounting solutions are offered for free. Additionally, Due offers credit card processing with rates starting at 2.8% flat or lower depending on processing volume. Clevork offers visual time tracking for company of all sizes, helping to illustrate how time is being spent so efficiency and productivity gains can be made. Due vs. Clevork: Both Clevork and Due offer project management, expense management, and time tracking solutions for business of all kinds. Clevork offers monthly memberships starting at $19/month. Due will never charge to access these features as well as invoicing, online payments, and a digital wallet. ClickTime makes it easy to plan, manage, and report on employee time from anywhere in the world. This software is used by companies like Google, Intel, and Twitter. ClickTime offers highly customizable dashboards, more than 60 reports, and 24/7 customer service. Due vs. ClickTime: Both Due and ClickTime allows user’s to manage, report, and plan employee’s time from any device anywhere in the world. Unlike ClickTime Due is focused on providing a much broader accounting solution for small businesses. Due’s additional features include invoicing, project management, payment processing, and a digital wallet. Due charges 2.8% flat for processing and offers the rest of its features completely free of charge. Clio is a time tracking solution specifically for the legal industry, which helps law firms track all their time for billing various clients for research and casework. 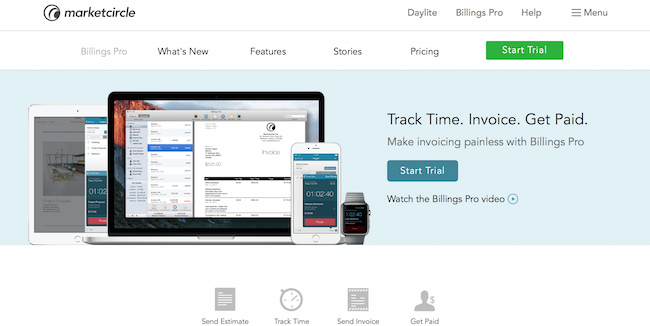 Due vs. Clio: Both Due and Clio offer time tracking and billing solutions for businesses. Clio offers solution specifically for lawyers. Pricing for Clio starts at $39 per user per month. Due’s solution goes well beyond the legal industry. Due’s features can accommodate small businesses in nearly every industry. In addition to time tracking Due offers invoicing, project management, payment processing, and a digital wallet. Clockwise is a complete time, attendance, HR, and pay stub solution that automates all these processes for greater efficiency, speed, and accuracy. It also includes leave management and apps to use these tools anywhere. Clockwise integrates with QuickBooks. Due vs. Clockwise: Both Due and Clockwise offer time tracking and payroll solutions to businesses of all sizes. For the standard package, Clockwise charges $5 per user per month. Due’s features go well beyond just time tracking. Due provides its users with digital wallet, invoicing, project management, payment processing, and invoicing solutions as well. Due’s credit card processing costs 2.8% flat per transaction and offers the rest of its features for free. DATIS is HR cloud software that provides a fully unified HR and payroll software system that is designed to help organizations better manage the modern workforce. It includes time tracking and time sheet capabilities that provide more efficient data for payroll. Due vs. Datis: Both Due and Datis offer time tracking, payroll, and data analysis for businesses of all sizes. To get an idea on pricing you can get a customized quote from Datis. There’s no need to inquire about quotes with Due because Due offer it’s features completely free of charge. Due also provides credit card processing to online businesses with rates as low as 2.8%. Dovico has spent the last twenty years offering effective ways to handle time tracking and reporting for clients worldwide. Features include time lockout, project time tracking, time and expense entry for billing, automated notifications, receipt attachment, approval workflows and multiple currencies. Due vs. Dovico: Both Due and Dovico offer time tracking, expense tracking, and billing solutions for businesses of all sizes. Dovico charges $12 per month per user to use their software. Due provides these same services free of charge. If you want to access Due’s payment processing solution, you can easily integrate into our hosted checkout via Due’s e-commerce API. Processing rates start at 2.8% flat or lower depending on your volume. 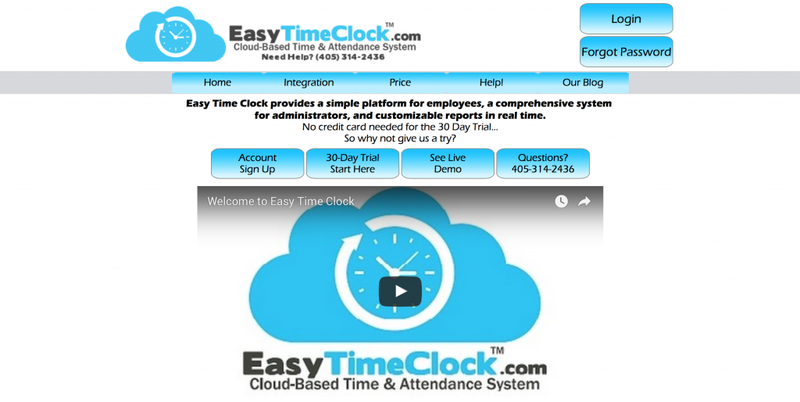 Easy Time Clock provides a simple platform for employees, a comprehensive system for administrators, and customizable reports in real time. Easy Time Clock can easily integrate with any payroll software that has the capability to import employees’ time and attendance. Due vs. Easy Time Clock: Both Due and Easy Time Clock offer time tracking and payroll solutions for businesses of all sizes. Easy Time Clock charges per user account, you can inquire further online for pricing. Due offers much more than just time tracking and payroll. These additional features include project management, invoicing, digital wallet, and payment processing. The Empire Suite software package includes Empire Mobile, Empire CALENDAR and Microsoft Project Applications. Everything is designed around efficiency and productivity, including features that address CRM, time and expense tracking, resource scheduling, project management and financial management. Due vs. The Empire Suite: Due and The Empire Suite both offer billing, project management, time tracking, and expense tracking for businesses of all sizes. The Empire Suite offers monthly pricing starting at $10 per user per month. You can sign up for Due and access all of it’s awesome features completely free of charge. If you’re an online store and want to process payments with Due, you can use our flat 2.8% rate or inquire about custom rates. Emplotime is an online Web-based attendance tracking system that helps companies to track when employees arrive and depart by clicking on a virtual clock. This solution provides companies with a way to gauge productivity and engagement. Due vs. Emplotime: Both Due and Eplotime allow users to track time using a virtual clock. Emplotime charges annually starting at $40/year. Due offers time tracking as well as invoicing, project management, payments, and a digital wallet completely free of charge. You can process payments with Due at a 2.8% flat rate with no hidden or monthly fees. EmpXtrack provides a way to fill in time sheets easily, anytime and from anywhere while managers can know who’s available for the next project and who’s in need of time management. Due vs. Empxtrack: Both Due and Empxtrack offer time management and project management for businesses of all sizes. 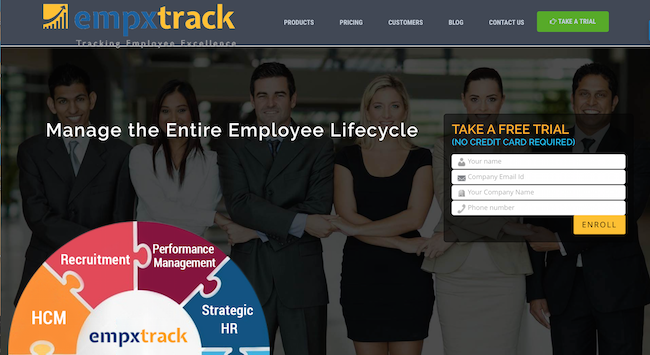 Empxtrack is more catered towards HR managers providing solutions like recruiting, strategic HR, and HCM. Pricing starts at $2.50 per employee per month. Due’s solution is catered toward a very broad audience. Small businesses of all kinds can take advantage of Due’s awesome feature set for free. EnterpriseIQ Time/Job Tracking helps companies provide timely and consistent labor reporting for accurate payroll processing and job costing. Working with its ERP system, companies can streamline and automate all aspects of employee scheduling and costing to maximize profitability. Due vs. EnterpriseIQ: Both Due and Enterprise ERP offer time tracking and other general ERP solutions to businesses of all sizes. Enterprise ERP provides a much larger suite of tools as well as industry specific solutions. To get an idea on pricing you’ll need to submit a quote online and work out a custom solution. Due does not offer industry specific solutions but Due’s accounting solution encompasses nearly all of the needs of any small business. Additionally, you can access Due’s features for free when you sign up. EPAY Systems is designed for companies with a distributed workforce, offering a cloud-based time and labor management system that aligns with unique labor needs, compliance requirements, and working environments of any organization. Due vs. EPAY Systems: Both Due and EPAY Systems offer online time tracking and payroll solutions for companies of all sizes. EPAY Systems offers employee specific solutions such as HR management, applicant tracking, ACA, Payroll, and Tax. To get an idea on pricing you can request a demo and speak with a representative to find a custom solution for your business. With Due, there’s no need to schedule a demo. Due offers a huge suite of accounting solutions for your small business completely free of charge. eResource Scheduler is a collaborative and configurable resource scheduling and planning software solution that includes time tracking to gauge productivity and assist with project planning. Due vs. eResource Scheduler: Both Due and eResource Scheduler offer time tracking, project planning, and reporting solutions for businesses of all sizes. eResource Scheduler offers a very specific solution for time tracking and reporting. Pricing starts at $75 per month and goes all the way up to $225 per month. Due’s feature set is not limited to only time tracking and reporting. Due offers a very broad solution that encompasses the needs of nearly every small business. The best part is, you can access all of Due’s features for free. ExakTime is an excellent solution for tracking time for outdoor and remote employees in the field through mobile technology and cloud-based software. Due vs. ExakTime: Both Due and ExakTime offer time tracking, payroll, and reporting solutions for businesses of all sizes. ExakTime offers industry specific solutions as well as consulting, custom development, and startup training services. 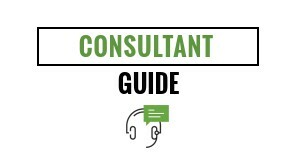 Due does not offer industry specific solutions or consulting and training services. However, Due’s solution covers the majority of any small businesses accounting pain points. When you sign up for Due, you can access all of the features completely free of charge. FieldAware makes time tracking software for those jobs that have employees out in the field, offering time tracking as well as dispatch, scheduling, and invoicing. Due vs. FieldAware: Both Due and FieldAware offer time tracking and invoicing features to businesses of all sizes. FieldAware offers features such as barcode scanners, work order management, asset management, and CRM integrations. Due offers much more than just time tracking and invoicing. These features include project management, payment processing, reporting, and a digital wallet. FingerCheck is an online time clock system that makes logging hours an effortless process and integrates with all payroll providers. It also offers applicant tracking, employee onboarding, payroll and workers’ comp. Due vs. FingerCheck: Due and FingerCheck offer time tracking and payroll solutions for businesses of all sizes. After your 30-day free trial their itemized pricing list is up on their website with a subscription base fee of $20/month. With Due, there’s no need to look at any itemized pricing lists. Thats because you can access all of Due’s features for free when you sign up. FORFORCE is a time tracking tool for Redmine Client that provides a way to continually track time while not being distracted from the project work. Due vs. Forforce: Both Due and Forforce offer a time tracking tool that allows you to seamlessly track time online. Forforce charges $5/month for one user, $100 one-time purchase for one-user, or $500 billed annually for unlimited users. Due offers much more than just time tracking. With Due, you can invoice, manage projects, process payments, and access a digital wallet. Freshbooks is cloud-based accounting software that offers an entire suite of solutions for tracking money and time within your company wherever you are working. It includes a time tracking tool and time sheet management function that works with its accounts payable and accounts receivable features. Due vs. Freshbooks: Like Due, Freshbooks offers a wide variety of business tools like invoicing, time tracking, reporting, and the ability to accept payments. 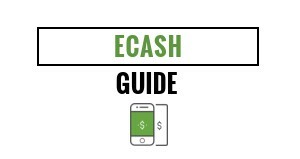 The cost to accept credit cards and other payments start at 2.9% + $0.30 per transaction. Due allows you to access these features completely free of charge and has a much lower credit card processing rate of 2.8% flat. FunctionFox is the leading provider of timesheet and project management software for advertising agencies. This web-based timesheet and project management software is made for agency work because it offers a way to track different projects and accounts for billing and productivity purposes. Due vs. FunctionFox: Both Due and Function Fox offer time tracking and project management for various businesses. Function Fox charges $5 per month per user for their basic package. Aside from tracking time and managing projects, Due gives you access to other solutions as well. Due allows you to make payments via your digital wallet, for free! Due also allows online businesses to process payments through an e-commerce API. Due’s credit card processing rates start at 2.8% or lower depending on your transaction volume. FutuHR is the first and only 100% mobile, purely cloud-based HR solution for small to midsize companies with fewer than 100 employees. It provides a way to streamline HR, time tracking, benefits, projects, payroll and talent management. Due vs. FutuHR: Both Due and FutuHR offer time tracking, project management, and payroll solutions for businesses. FutuHR is a mobile only platform while Due has both desktop and mobile versions of it’s software. To get an idea on pricing you’ll need to inquire online with FutuHR. When you sign up for Due, you can access all of these awesome features for free. There’s no need to inquire online or request a free demo. Get My Time is a Web-based time and expense tracking application where you can assign time and expense entries to a project or group for better reporting and tracking. It is fully integrated with QuickBooks desktop and online versions. Due vs. Get My Time: Both Due and Get My Time offer time tracking, expense tracking, and reporting solutions for businesses of all sizes. Get My Time charges $3.95 per user per month after a 30-day free trial. With Due, there’s no need to request a 30-day free trial because it’s free! In addition to time tracking features, Due allows you to send invoices, make payments via your digital wallet, manage projects, and process payments from your online store. Grindstone is made by Epiforge Software and is designed to deliver a range of taskforce project management and time tracking solutions. Due vs. Grindstone: Both Due and Grindstone offer an online time tracking solution for businesses of all kinds. Grindstone is an application offered by Epiforge, which offers other solutions such as expense reports and management tools, like Due. With Due you can access a large range of accounting solutions for free. Additional solutions include invoicing, project management, payment processing, and a digital wallet. Harvest offers simple time tracking along with its invoicing and reporting features to help businesses all around the world better track their time for billing and productivity. Due vs. Harvest: Depending on how many clients you choose to bill, you will have to pay to use Harvest. Due offers these features and much more completely free of charge. HourGuard is time logging software that works for Mac and PC, offering a simple way to track time on projects with time recording and invoicing features included. Due vs. HourGuard: HourGuard is a product offered by NCH Software. Like Due, HourGuard is an online time tracking and invoicing solution for businesses. Depending on which products you want to utilize, pricing may vary. You can utilize all of Due’s features for free when you sign up. If you’re an online store and would like to process payments with Due, the rates will start at 2.8% or lower depending on volume. Hubstaff offers automatic time tracking and monitoring with screenshots, application monitoring, Internet monitoring, automatic payroll, and reports. It integrates with over 30 software apps,including Basecamp, Trello, Asana, Podio, Paypal and more as well as supports Mac, Windows, Linux, and iOS. Due vs. Hubstaff: Both Due and Hubstaff offer time tracking, payroll, and reporting solutions for businesses of all sizes. Hubstaff charges $5/month for their basic plan and $9/month for their advanced plan. In addition, Hubstaff allows you to integrate with over 30 different apps allowing you to take advantage of additional features. Due doesn’t offer nearly as many integrations as Hubstaff but as far as features go, Due has the main ones covered. Due allows you to sign up for free and access all of its features with no monthly or hidden fees. iBE.net is an integrated and customizable web and mobile solution that enables service businesses to efficiently management their time and attendance with time tracking, management, and analysis tools. Due vs. iBE.net: Both Due and iBE.net offer accounting solutions like time tracking, invoicing, expense reporting, and billing. iBE.net charges $299/month as their basic package to utilize this whole suite of features. Due offers basically the same set of features completely free of charge as well as project management, digital wallet, and payment processing. Intervals is online project management software that combines time tracking and task management in a collaborative space with reporting features. It is made for small businesses and teams. Due vs. Intervals: Both Due and Intervals offer project management, time tracking, and reporting features for small businesses. Intervals charges monthly starting at $25/month for their basic package. Due only has a basic package that grants users full access to its features. The great part about Due’s basic package is that its completely free! If you own an online store and would like to process payments with Due, then you will be charged 2.8% flat per transaction. Journyx is enterprise project, time, and expense tracking software that allows you to automate cost accounting, measure work profitability, bill customers, and pay employees. it can be integrated with other accounting, payroll, project and human resource system, including QuickBooks, Microsoft Project, Microsoft Excel, SAP and ADP. Due vs. Journyx: Both Due and Journyx offer project, time, and expense management software for businesses of all sizes. To get an idea on pricing you can request a demo on Journyx and put together a custom solution for your business. Due allows you to sign up for free and access all of its features with no hidden or monthly fees. 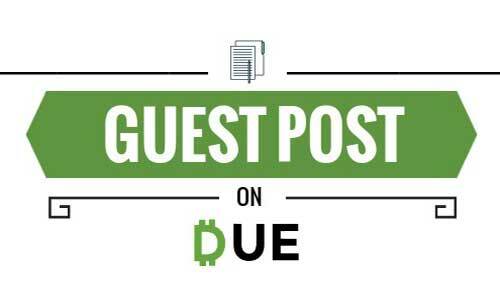 Due has solutions for invoicing, ACH payments via a digital wallet, and payment processing. Kintone offers a way to transform your business processes into agile, centralized cloud apps without having to know how to code. Among the processes covered, Kintone offers time tracking tools for individuals, teams, and companies. Due vs. Kintone: Both Due and Kintone offer time tracking and reporting features for businesses of all sizes. Kintone focuses on centralized cloud applications that provide other solutions such as CRM/Sales Management, HR/Workforce Management, and Supply Chain Management which Due does not yet have in place. Kintone charges $24 per user per month. While Due doesn’t offer CRM and Supply Chain Management they do offer additional features such as invoicing, project management, ACH payments via a digital wallet, and payment processing. Due allows users to sign up and access all of its features for free. If you want to process payments, rates start at 2.8% or lower depending on your transaction volume. Klok is a desktop time tracking application that offers dashboard reporting as a well as a team console that connects the organization to each other and to other software like Freshbooks, Paymo, Basecamp, Harvest, Ansana and more. Due vs. Klok: Both Due and Klok offer an online time tracking software that allows for seamless time management and reporting. Klok costs $99.99 to download for PC or Mac. Due offers a cloud based accounting solution so theres no need to download any programs onto your devices. Due’s accounting solution also includes invoicing, project management, payment processing, and digital wallet capabilities as well. Users can sign up and use all of these awesome features for free. Manictime helps you by tracking your day through Activity (either on the computer or off), Applications (which were open), and Tags (your personal annotations to your work flow). Mousing over any of the three time lines gives you additional data about that moment on the time line or you can pull up the statistics window to see your work patterns over time. Due vs. Manictime: Both Due and ManicTime allow you to track and report your time online. ManicTime costs about $67 for their premium service per license. Due offers time tracking and much more completely free. These additional features include payment processing, ACH transfers via a digital wallet, project management, and invoicing. Mavenlink is powerful time tracking software that allows a company to track both time and expenses as well as manage project timelines and understand productivity. It also offers collaborative workspaces and integration with Google, Salesforce, Quickbooks, Intacct and Netsuite. Due vs. Mavenlink: Both Due and Mavenlink offer time tracking, expense tracking, and project management for companies of all sizes. Mavenlink charges a monthly fee starting at $19/month for five users. Regardless of how many users you have Due will always be free. In addition to time tracking and project management Due allows you to send invoices, make payments via your digital wallet, and process payments if you’re an online store. MinuteDock is a time tracking solution that provides a way to track time by client, project, and task. It offers the ability to create and send timesheets, backdate time entries, and operate on any device at anytime. It integrates with accounting software like QuickBooks, Xero, Sage, Wave, Freshbooks and MYOB. Due vs. MinuteDock: Both Due and MinuteDock offer time tracking, project management, reporting, and billing solutions for companies of all sizes. MinuteDock charges monthly starting at $19 per month. Unlike MinuteDock Due does not charge by month. In fact, Due does not charge at all. However if you’re an online store and would like to process payments with Due, you will be charged a flat rate of 2.8% per transaction. MoneyPenny is a smart, live time tracking solution that helps you simplify time tracking, timesheet management, and online invoicing. 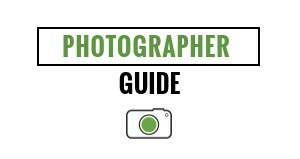 It’s ideal for freelancers, startups, and small businesses that are looking to maximize their time and productivity. Due vs. MoneyPenny: MoneyPenny offers basic time management, project management, and invoicing features starting at $15/month. Due offers these same features and much more completely free of charge. MyCase is affordable, intuitive, and powerful management software designed for law firms. It includes a way to manage contacts, calendars, cases, documents, time, and billing. It also has a secure client communication portal that keeps them informed about important case information. Due vs. MyCase: Both Due and MyCase offer time tracking and billing features for businesses. MyCase is catered to lawyers and those who work in the legal industry. Pricing for MyCase starts at $29 per user per month. Due’s accounting solution will cover the needs of the legal industry and many others. Due offers a basic set of features that will set any small business up for success. MyHours is headquartered in Slovenia and offers free and low-cost options for time tracking for individuals and teams. Time tracking works in a web browser or mobile app. Features also include billing, invoicing, and project management tools. Due vs. MyHours: Both Due and MyHours offer time tracking, invoicing, and project management tools for businesses of all sizes. MyHours charges for their pro version at $3 per month and $2 per additional user. Due’s accounting solution doesn’t only offer time tracking and management capabilities. Due allows online businesses to take advantage of its payment processing features and allows users to send and receive payments via its digital wallet. NetDispatcher is made specifically for the field service industry, offering a cloud-based solution for scheduling, dispatch, and time tracking across a range of industries. It integrates with over 65 accounting packages, such as Sage, QuickBooks, and many others out of the box. Due vs. NetDispatcher: Both Due and NetDispatcher offer time tracking solutions for companies of all kinds. NetDispatcher offers a huge suite of features including industry specific solutions that Due does not yet have in place. Due offers invoicing, payment processing, ACH payments via a digital wallet, and project management solutions in addition to time tracking. These basic features are offered for free, Due’s credit card processing starts at 2.8% flat or lower. OfficeClip makes a range of software that covers how a business can manage contacts, customers, projects and support tickets. It also makes time tracking software to manage project and employee time and expenses with approval routing. It also syncs with QuickBooks and Sage 50. Due vs. OfficeClip: Both Due and OfficeClip offer time tracking, expense tracking, and invoicing solutions for companies of all sizes. OfficeClip’s pricing varies depending on which solutions you want to utilize, reference the pricing section online to get an idea on pricing. Due also has an e-commerce payment processing API that can easily integrate into your online store. Due’s credit card processing rates start at 2.8% or lower depending on volume, all other features on Due are free. OfficeMA Timesheet is based in the UK. It offers multi-user online timesheets as well as tools to manage users, clients, projects, and tasks. Data can be exported to PDF and CSV reports. Due vs. OfficeMA: Both Due and OfficeMA offer time tracking, project management, and client management solutions for businesses of all sizes. OfficeMA offers a free version then charges monthly for their premium feature set. Due only has one version, and it’s completely free. In addition to time tracking and management solutions Due also offers invoicing, ACH payments via a digital wallet, and payment processing. 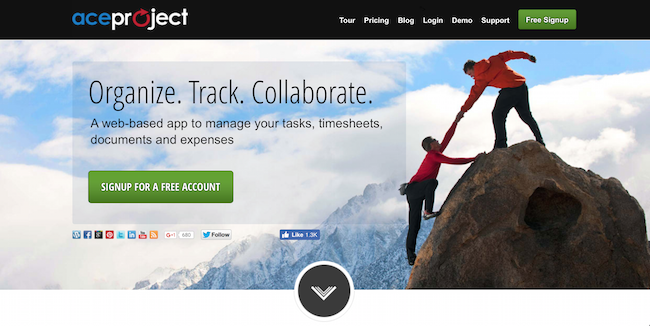 OfficeTime offers time track for the Mac, PC, iPhone and iPad. It also knows when you start and stop on a project so there is no need to start and stop a timer. Other features include expense tracking, simple invoicing, and reporting tools. Due vs. OfficeTime: Both OfficeTime and Due offer time tracking, expense tracking, invoicing, and reporting tools for businesses of all kinds. OfficeTime charges a one-time download fee of $47 with a 120-day money back guarantee. Due offers all of its services on a cloud based platform so you can access your account from any device. You can sign up and use all of Due’s features for free. OfficeTimer is a time tracker solution from India and offers time sheets, leave management, expense management, and project and task management. It provides a way to handle all time tracking and timesheets online as well as approvals. The tool is easy to track and configure all time aspects of the company and employees. Due vs. OfficeTimer: Both Due and OfficeTimer have a time tracking, expense management, and project management solution for businesses of all sizes. OfficeTimer charges per month per user, you can reference their pricing chart online. In addition to management and time tracking features Due offers a few other accounting solutions for small businesses. These solutions include invoicing, payments via a digital wallet, and payment processing for online stores. Due’s payment processing rate is 2.8% flat or lower depending on volume, all other features on Due are free. On-Time Web is offered by a company that makes all types of technology solutions for small businesses to help them operate more cost-effectively and productively. They offer easy-to-use web timesheet software that includes time tracking, project tracking, and leave tracking. Due vs. On-Time Web: Both Due and On-Time web offer time tracking and project management solutions for businesses of all kinds. On-Time web is mainly focused on time tracking and other tracking features. Due offers a much broader accounting solution for your small business. Other features include invoicing, payment processing, and ACH transfers via a digital wallet. Ooylo provides a way to track your hours as an individual for clients or as a team for a company as well as create timesheets without having to rely on Excel. Features also include auto reminders to the team to submit their timesheets and the ability to tag hours with different descriptions. It works on Mac, PC, tablet and smartphone devices. Due vs. Ooylo: Both Due and Ooylo offer time tracking features for businesses of all kinds. Ooylo offers a free version then charges $2 per user for additional features. Due offers plenty more than just time tracking features. Due allows you to send invoices, send and receive payments via a digital wallet, and if you’re an online store, process credit cards. Due’s features are offered free of charge and has provides credit card processing at 2.8% flat or lower depending on volume. Paymo is an intuitive project management application for small and medium businesses that combines time tracking, task management, and invoicing to track the lifetime of a project without having to rely on several apps. Due vs. Paymo: Both Due and Paymo offer time tracking, project management, and invoicing features to companies of all sizes. Paymo charges $8.95 per user per month. With Due, there are no monthly or hidden payments to access its features. All features on Due are completely free of charge. If you’re an online store and would like to process payments via Due’s E-commerce API you will be charged 2.8% flat per transaction. Pay Panther offers easy and intuitive time tracking software online that is compatible with any device. It comes with a 30-day unlimited free trial. Due vs. Pay Panther: Pay Panther offers a similar feature set to Due. They both offer invoicing, credit card processing, project management, and time tracking. The main difference is pricing. Pay Panther requires monthly payments starting at $49/month for a basic package. If you want to be billed annually, Pay Panther offers 50% off on these payments. With Due, you have access to all of these features completely free of charge. P&K Time App provides a system for many business processes, including time tracking, work orders, expenses, invoicing, reporting, materials database and more. GPS features provide a way to add a punch clock and mileage log. Other features include client and project registry, time book, and approvals. Due vs. Time App: Both Due and P&K Time App offer invoicing, expenses, and time tracking solutions to businesses of all sizes. P&K Time App charges about $8 per user per month. In addition to time tracking and billing solutions Due also offers payment processing and a digital wallet. Users can send and receive payments on the Due platform using the funds in their Due accounts. Due offers these features for free and charges 2.8% flat for credit card processing. Planio is headquartered in Germany and offers a complete suite of productivity and project management tools for businesses of all sizes. The time tracking feature is an easy-to-use issue-based toggle that can be turned on and off. When turned off, you can log time spent or opt to simply continue the tracker. The logging process captures date and time spent and enables activity and comments to be added. Due vs. Planio: Both Due and Planio offer time tracking features for businesses of all sizes. Planio charges monthly starting at 19 EU per month. Due offers plenty more than just time tracking to its users. With Due you can process payments, send and receive money via a digital wallet, manage projects, and send invoices. Due provides all of these awesome features for free. Project Open is headquartered in Spain and offers a comprehensive enterprise management solution with a platform that includes a wide range of modules, including time tracking for project and individual work. Due vs. Project Open: Both Due and Project Open provide time tracking and project management solutions for businesses of all sizes. To get an idea on pricing you have to submit a quote online. You can use Due for much more than just time tracking and project management. Due has invoicing, payment processing, and a digital wallet as well. Due allows you to sign up and access all of these features for free. Replicon’s time tracking and project management solutions help customers in over 70 countries to increase productivity, improve profitability, and achieve wage and hour compliance. Due vs. Replicon: Both Replicon and Due offer invoicing, time tracking, and project management features. Replicon requires monthly payments depending on how many of their features you want to utilize. Due offers all of these features completely free of charge. In addition Due offers features such as an e-commerce payment processing API, digital wallet, reporting, and much more. 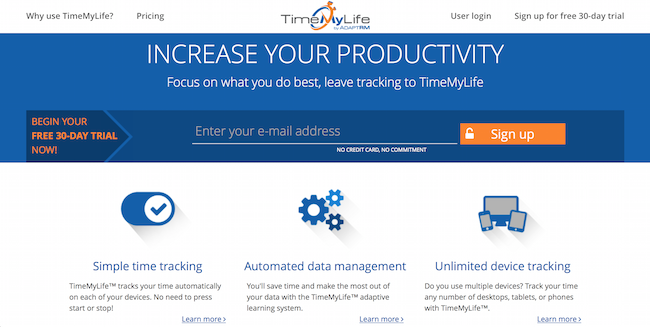 RescueTime aims to be the least intrusive time-tracker you’ll use. RescueTime monitors the web sites you visit and the applications you use. You can set goals in RescueTime based on a variety of factors, including how much time you want to spend doing certain tasks or how much time you want to dedicate to certain projects. RescueTime analyzes your computer usage and lets you know whether or not you’re meeting those goals. Due vs. RescueTime: Both Due and RescueTime offer time tracking software for businesses of all kinds. RescueTime offers a free package as well as a premium package that costs $9 per month. Due only offers a single package that includes time tracking as well as invoicing, project management, payment processing, and a digital wallet. Due’s credit card processing costs 2.8% flat per transaction, everything else on the platform is free. Sage Timeslips is part of the Sage accounting software package and includes time tracking tools and timesheets to manage all aspects of how time is spent in the company, including the expense and revenue connected to that the time usage. Due vs. Sage: Sage offers a plethora of accounting software solutions. Depending on which solution/package you want to choose you can access a variety of these features. Sage and Due both offer features such as invoicing, payroll, and ability to accept payments. Due offers a much more basic version of these features but it’s completely free of charge. There’s no need to mix and match features to fit your business with Due, what you see is what you get! Sapenta is a smart way to manage all aspects of a business for greater efficiency and productivity. Features include time management, team management, office management, and travel management, offering a way to use it from any device to ensure a greater digital performance no matter where employees and teams are located. Due vs. Sapenta: Both Due and Sapenta offers time management and project management solutions for businesses of all sizes. Sapenta charges 2.49 EU per month for time tracking features. 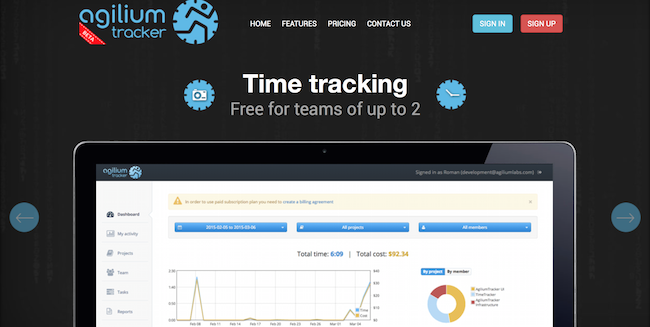 Due offers its time tracking solution for free. In addition, Due offers payment processing, invoicing, and a digital wallet. If you have an online store and would like to process payments, Due charges 2.8% flat. The rest of Due’s features are completely free. Tick is time management software that works for anyone from a freelancer to a company with hundreds of employees. It streamlines communication and provides an effective way to manage time usage and budgets. Features include time cards, running timers, iOS and Android apps, the ability to use it anywhere in the world, and integration with Chrome, Apple Watch, Zapier, Quickbooks and Freshbooks among others. Due vs. Tick: Both Due and Tick offer time tracking and billing software for businesses of all sizes. Tick charges $19 per month for their starter package. Due’s basic package is offered for free. When you sign up for Due you will have access to invoicing, project management, payment processing, and a digital wallet. Timecamp is a time tracking solution used by freelancers and companies in over 100 countries. It offers time management for productivity and verification, invoicing, one click visual time tracking, billable hours, and time off attendance features. Due vs. TimeCamp: Both Due and TimeCamp offer time tracking, invoicing, and billing solutions for businesses of all sizes. The basic package for TimeCamp is free, however if you want to access premium features you’ll start at $6 per user per month. Due offers these same features for free. If you have an online store Due can process your credit card payments for 2.8% flat per transaction. 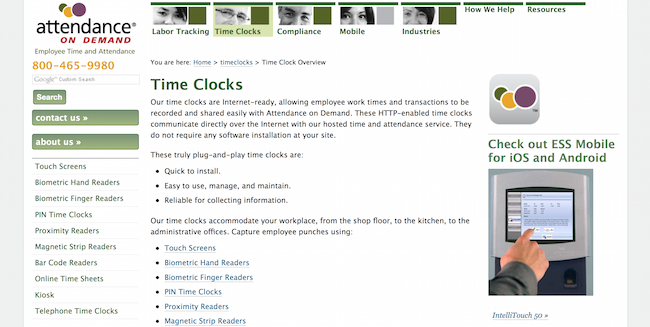 TimeDock offers a way for employees to clock in anywhere through their Android or iOS devices. It includes GPS capability to know where your employees are as well as job code scanning, time cards, cloud-based clock for time tracking, and touch free capability for multiple devices. Due vs. TimeDock: Both Due and TimeDock offer time tracking and reporting solutions for companies of all sizes. TimeDock charges $5 per month per active employee. Due offers much more than just time tracking and reporting. Due allows you to send invoices, manage projects and expenses, process payments, and make payments via a digital wallet. These features are all provided for free. Time Doctor is accurate time tracking and time management web-based solution that provides time tracking, computer work session monitoring, reminders, screenshot recording, invoicing, reporting tools, integrations and more to help your business be more productive. Due vs. Time Doctor: Both Due and Time Doctor offer time tracking, invoicing, and reporting solutions for companies of all sizes. Time Doctor allows you to take a free trial to get a feel for the platform, then they charge a monthly fee. With Due, theres no need to take a free trial because Due offers all of its awesome features completely free of charge. To process credit cards on your online store Due charges 2.8% flat per transaction. TimeDrop Time Clock is a time tracking application that will quickly and securely clock your employees in or out, organize time entries, allow you to manage permissions and provide real-time payroll and time and attendance reports. It works with Windows computers and offers biometric fingerprint options. Due vs. Time Drop Time Clock: Both Due and Time Drop Time Clock will allow you to track your time. Time Drop Time Clock is a product offered by lotHill Solutions. lotHill Solutions offers a full suite of POS tools from employee time management to processing solutions. While Due only offers online solutions, its feature set fully encompasses all the needs of a small business. Along with time tracking Due also offers invoicing, payment processing, and a digital wallet for free. Time Live provides a way to produce online time sheets so that employees or freelancers around the world can submit their time. The software also includes project management, expense tracking, time billing and invoicing, time tracking, QuickBooks integration and more. It also is open source so that it can be customized and integrated into existing platforms. Due vs. Time Live: Both Due and Time Live provide project management, expense tracking, time tracking, billing, and invoicing solutions for businesses of all sizes. Time Live charges per month per user after three users. When you sign up for Due, you will have access to all of these features and more for free. On the Due platform you can also send and receive money via a digital wallet. Additionally, if you have an online business you can utilize Due’s payment processing capabilities as well. Due’s credit card processing rates start at 2.8% or lower depending on your transaction volume. Timeneye is a simple time tracking app for freelancers as well as small to medium sized businesses to track employees and your own time for clients. It offers a way to track individuals, teams, and projects while also offering mobile functionality. The time tracking app integrates with Trello, Podio, Basecamp, Chrome Extension, Asana and more, including your own app thanks to its API capabilities. Due vs. Timeneye: Both Due and Timeneye offer time tracking, project management, and reporting features to small and medium sized businesses. Timeneye is free for one user then you’ll have to pay monthly fees depending on how many users you have. The Due platform is free for all users. You can sign up on the Due website for free and access all of these awesome features and more. Along with time tracking and management features Due also offers payment capabilities as well. You can invoice, process payments, and make payments via Due’s digital wallet. Timesheets.com offers simple, yet powetful, cloud-based time tracking service to track hourly time for payroll, time-off balances, and accountability as well as project time for billing or job costing. Due vs. Timesheets.com: Both Due and Timesheets.com offer time tracking, project management, expense management, and reporting features for businesses of all sizes. Timesheets.com charges monthly fees depending on how many users you have. Due has no monthly or hidden fees when you sign up for the platform. Time tracking, management, and all other features are Due are offered for free. Due also charges 2.8% flat for online payment processing, if your online business has a high transaction volume, Due can offer custom rates below 2.8%. The TimeStatement time tracking solution can track working hours, record expenses, create professional invoices and send reports to the customer with one click. This online SaaS solution cuts administrative work and costs, requires no installation, is easy to use and accessible from anywhere. This is a multi-lingual solution. It is available in German, English, Italian, French and more on request. Toggl offers time tracking capability to ensure accurate billing as well as track employee productivity and profitability. Due vs. Toggl: Both Due and Toggl offer time tracking, billing, and reporting features to businesses of all sizes. Toggl charges monthly fees starting at $10 per month per user. Due charges no monthly fees or per user fees. In fact, when you sign up for Due you can access all of its features for free. Due only charges for credit card processing. If you have an online store and would like to process payments with Due you will be charged 2.8% flat per transaction with no hidden or monthly fees. TrackSmart is time tracking and attendance software that is designed to help a business track all their employees to gauge productivity and profitability. Due vs. TrackSmart: Both Due and TrackSmart offer time tracking software for businesses of all sizes. TrackSmart charges monthly fees based on how many users you have starting at $22 a month for up to 15 users. Due offers a free service no matter how many users you have. Aside from time tracking, you can invoice clients, process payments, manage projects, and utilize a digital wallet with Due. These services are all provided for free except credit card processing which costs 2.8% flat. Tradify is a solution for industries that use field service technicians and need to stay on top of the entire job process, including scheduling, job information, dispatch, time tracking, and rescheduling as well as quoting and invoicing. It also integrates with accounting software like Xero and MYBO. As a collaborative platform that also reduces manual tasks, it brings all job information together in one place for those in the office and field. Due vs. Tradify: Both Due and Tradify offer time tracking, invoicing, and reporting software to businesses of all sizes. Tradify charges monthly fees starting at $5 per month per user. Not only can you track time and invoice with Due but you can also utilize a full suite of payment features. Due offers a digital wallet which you can send and receive payments with the credit on your Due account. If you have an online store and would like to accept credit cards, you can use Due’s payment processing features as well. Due’s processing rates are among the lowest in the industry starting at 2.8% or lower depending on volume. Tsheets offers a number of features to help track employee time, including GPS tracking, time card options, mobile time tracking, alerts and approvals, job and shift scheduling, and QuickBooks integration. Due vs. TSheets: Both Due and TSheets offer time tracking and reporting features to businesses of all sizes. TSheets charges a monthly fee based on how many users you have. Regardless of how many users you have Due will always be free to use. Due’s time tracking, invoicing, project management, reporting, and online payment features can be used for free. If you’d like to process payments with Due, then you’ll be charged 2.8% flat per transaction. Due vs. UltiPro: Both Due and UltiPro offer time tracking, billing, and payments for businesses of all sizes. To get an idea on pricing you can submit a quote online. Due offers a suite of features well beyond billing and time tracking. Due’s digital wallet allows you to send and receive payments using the credit on your Due account. In addition, Due offers some of the lowest credit card processing rates in the industry. Due’s rates start at 2.8% flat but if your online store processes over $250,000 you can inquire about custom rates below 2.8%. Unanet helps organizations that need to reliably plan, track, and manage people and projects with tools for resource management, project management, timesheets, expense reports and workforce collaboration. It is available as a customer premise solution or ASP offering. Due vs. Unanet: Both Due and Unanet offer time tracking, project management, and reporting solutions for businesses of all sizes. Unanet offers industry specific solutions while Due offers a general accounting solution with additional features such as a digital wallet, online payments, and much more completely free of charge. Vorex is designed for small and medium-sized businesses, helping them with time and expense tracking, billing and invoicing, workforce planning and CRM all within a cloud-based system. Due vs. Vorex: Like Due, Vorex allows you to send and receive invoices, track time and expenses, and much more seamlessly. Due offers these same features completely free of charge as well as an e-commerce payment processing API, digital wallet, project management, and much more. Wasp Barcode Technologies makes time and attendance systems for small to medium-sized businesses, including complete solutions that feature WaspTime software and a biometric (fingerprint), HID , RFID, or barcode time clock. They offer free US-based technical support and training. Due vs. WaspBarcode: Both Due and WaspBarcode offer time tracking and billing solutions for businesses of all sizes. WaspBarcode offers industry specific solutions while Due offers a general accounting solution that allows users to manage projects, make payments via a digital wallet, process payments and much more completely free of charge. Web Work Tracker is a free time tracking solution for individuals and companies that includes screenshot capture, reports, statistics, projects, clients and a dashboard that brings all the data together for better decision making about productivity and budgeting. Due vs. Web Work Time Tracker: Both Due and Web Work Time Tracker offer time tracking, project management, and reporting for businesses of all sizes. Web Work Time Tracker charges monthly fees depending on how many users you have. Due’s service is offered for free regardless of how many users are on the platform. When using Due you will have access to features well beyond time tracking and management. Due provides users with an abundance of payment tools as well. Due’s digital wallet provides users with a way to make and receive payments using the funds in their Due accounts. In addition, Due offers credit card processing at an industry low 2.8% flat. WorkFlowMax is an all-in-one cloud-based job management platform that helps to save time on data entry, updated on projects, and on top of how time is spent. It also provides a way to track hours related to a job and receive alerts when its nearly used up as well as create accurate time-based invoices. Other features include integration with 30 other software solutions and apps. 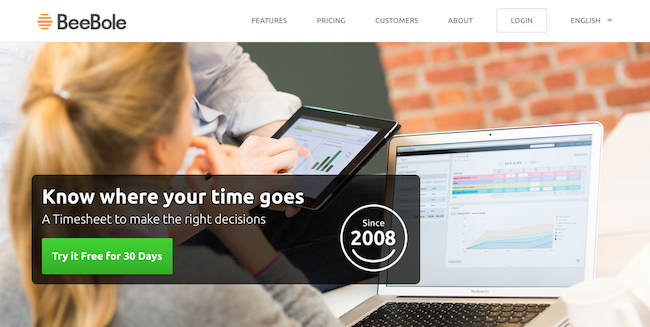 Due vs. WorkFlowMax: WorkFlowMax offers accounting and CRM solutions for small businesses. Like Due, it offers plenty of features such as invoicing that are imperative in helping small businesses grow. WorkFlowMax charges monthly starting at $25/month per user. Due gives you access to these features and much more completely free of charge. WorkPuls is an automatic time and productivity tacking software solution that helps companies understand how their employees spend working hours on computers to use for billing purposes as well as for productivity and performance analysis. Due vs. WorkPuls: Both Due and WorkPuls offer time tracking, billing, and reporting features to businesses of all sizes. You can sign up for a 14-day free trial with no credit card required. There’s no need to sign up for a trial with Due because it’s completely free to use the platform. Due only charge for credit card processing which costs 2.8% flat with no hidden or monthly fees. WorkStraight is a complete work order system for all types of businesses that offers communication, collaboration, project management, time tracking, custom work orders and invoices, and payment acceptance. Due vs. WorkStraight: Both Due and WorkStraight offer time tracking, invoicing, project management, and payments for companies of all sizes. WorkStraight charges a monthly fee starting at $15/month for the basic package. Due offers much more than just time tracking and billing features. Due’s payment options allow users to send and receive money on the Due platform instantly via a digital wallet. You can also process payments with Due at 2.8% flat with no monthly or hidden fees. X-pert Time is project time tracking software for Windows and Android from a company headquartered in Germany. Xpert-Timer is perfect for collaborating on time sensitive projects. You can choose between using a MS-SQL, a MySQL, a PostgreSQL or an Access database for the multi-user version. Due vs. Xpert Time: Both Due and Xpert Time offers project management and time tracking software for businesses of all sizes. Xpert Time charges varying prices for their software starting at a $79 one-time download price. Due offers a cloud-based accounting solution with more than just time tracking and management features. These additional features include invoicing, online payments, and a digital wallet. Yalla is team management software and collaboration tools that make it easier for everyone to work efficiently together no matter where in the world they are located. It offers time tracking, fulfillment funnels, CRM capability, a calendar and a team command center. Due vs. Yalla: Both Due and Yalla offer project management, time tracking, and reporting solutions for businesses of all kinds. Yalla charges $5 per user per month to use their software. With Due you can bill clients with customizable invoices, send and receive payments via a digital wallet, and much more completely free of charge. Due only charges for credit card processing at an industry low 2.8%. If your online business transacts more than $250,000 a year you are eligible for custom rates below 2.8%. ZipBooks is free accounting software for small businesses that offers time tracking, invoicing, online invoicing and accounting tools that help small business owners get paid faster and maintain their finances in an efficient way. Due vs. ZipBooks: Like Due, ZipBooks offers a seamless invoicing and billing solution for small business for free. Due’s payment processing fee of 2.8% is much lower than those you would get from the ZipBooks payment gateways. Due offers all these features completely free as well as an e-commerce payment processing API, digital wallet, project management, and much more. Zoho is online invoicing software that offers a way to send invoices, receive payments, and track the overall health of your business. Time tracking is one of its primary features, providing a way to know how much each project took for more accurate billing. Due vs. Zoho: Both Due and Zoho offer invoicing, payments, time tracking, and other small business solutions. Due offers a general accounting solution with additional features such as a digital wallet, online payments, and much more completely free of charge. In addition Due offers payment processing at an industry low 2.8% flat or less depending on volume. Next PostCan You Make Money Writing for Content Mills?